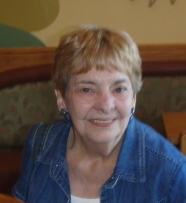 Ann Caroline Sommers, 79, of Sheridan formerly of Algonquin, IL passed away September 17, 2014, at her home. She was born February 25, 1935, in Chicago, IL the daughter of Thomas and Adelaide (nee Long) Erhardt. She was united in marriage to Thomas Sommers November 26, 1955. Ann was a beloved mother, grandmother and friend to many. She resided in Algonquin for many years where she raised her family. She enjoyed many of Gods creations and loved spending time with family and friends. She is survived by her daughter, Elizabeth Sommers of Elgin; two grandchildren, Krystal Wolff and Thomas Wolff of Sandwich; and five great-grandchildren. In addition to her parents she is preceded in death by her husband, Thomas; and a daughter, Sally Sommers. Visitation will be held 5:00 until 7:00 p.m. Monday, September 22, 2014, at Moss Family Funeral Home 209 South Batavia Ave. Batavia, IL. Funeral services will be held 10:00 a.m. Tuesday, September 23, 2014, at Moss Family Funeral Home. Interment will follow in Chapel Hill Garden West in Oak Brook Terrace.